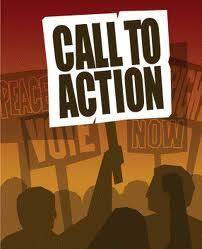 Call To Action: We Need Your Voice! Together we can and do make a difference! Please help us ensure the voice of individuals living with mental illnesses and their families is heard! Gov. Tom Corbett unveiled his proposed Pennsylvania state budget for fiscal year 2012/13 on Tuesday, Feb. 7. The Governor's General Fund budget is set at $27.5 billion - a decrease of $866 million or 3.1 percent from 2010/11. Overall state spending is cut back to 2008/09 levels. In his budget address, Corbett indicated that “transforming the human services safety net” was one of his overall budget goals for the upcoming fiscal year. It is critical that individuals living with mental illnesses, their families and community providers have meaningful input into this transformation. Please do your part by joining with us to ensure our voice is heard! Contact the Appropriations Committee majority and minority chairs (contact information listed below) in both the PA House and Senate and urge them to put an end to the era of having to do more with less. Restore Mental Health Services funding within the Governor’s proposed budget for the next fiscal year to the current year level of $717,213! Mental Health Services takes a 20% cut in the Governor’s proposed budget. Yet when Mental Health funding is shifted into the newly proposed Human Services Development Block Grant (HSDF), it makes up over 2/3 or 71% of the overall funds. Each county will use those HSDF funds with great flexibility to meet various county human service needs, not just for much-needed community treatment and supports for people living with mental illnesses and their families. Please restore the Mental Health Services Funding! Restore Mental Health Services funding within the Governor’s proposed budget for the next fiscal year to the current year level of $717,213. Mental Health Services takes a 20% cut in the Governor’s proposed budget. Yet when Mental Health funding is shifted into the newly proposed Human Services Development Block Grant (HSDF), it makes up over 2/3 or 71% of the overall funds. Each county will use those HSDF funds with great flexibility to meet various county human service needs, not just for much-needed community treatment and supports for people living with mental illnesses and their families. Please restore the Mental Health Services Funding so our fellow citizens can remain productive engaging members in our Commonwealth. History has shown that deep cuts in mental health services do a disservice not only to those who need these services, but to the budget itself. When mental health services are cut life experiences decline and these citizens' needs merely shift to a different part of the human services budget such as shelter and food because they are no longer able to function at their previous levels of productivity and quality of life. I urge you to restore funding to the Mental Health Services allowing this population to keep their dignity and allowing those with new needs to have access to resources to regain the life quality they need to continue this state's growth toward the future. This entry was originally posted at http://pj.dreamwidth.org/337647.html. Please comment here or there there using your LJ ID or OpenID.